Located centrally in Brighton, on 2 St. James’s Street as you walk into Kemp Town, just before Morrison’s supermarket (same street side). 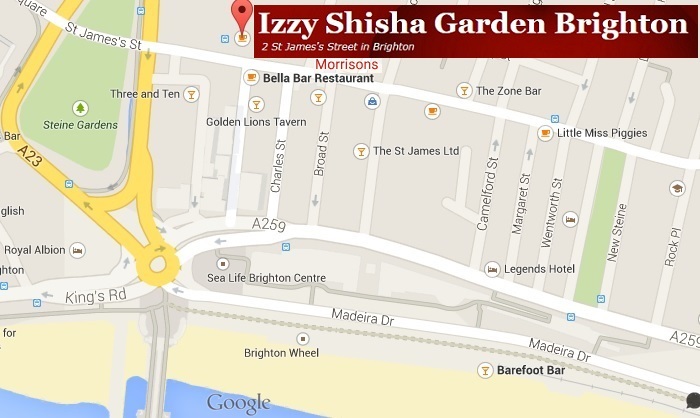 You will see a red Shisha flag marking the entrance via St James’s Place. For Google’s maps click here.